Do you feel caught between a rock and a hard place? Is the rock your children and the hard place your parents? If so, then you might be a member of the sandwich generation. The sandwich generation is made up of adults who are raising children and taking care of their aging parents at the same time. And the result can be a bit squashing. The feeling of being squished between both lives is a sure sign that you’re dealing with sandwich-generation stress. Although providing for both your children and parents leaves you feeling overwhelmed, there are ways to cope. Continue reading for 7 ways to cope with the stress and start feeling better today. Before you can care for someone else, you must first care for yourself. Practicing good self-care should be your number one priority when feeling caught in the middle. When you’re feeling good and happy, others around you can sense it. And they will feel the same way. To do this, you need to have a healthy work-life balance. Don’t take on more than you can handle. Remember to keep in touch with friends. Having a healthy social life is a great way to relieve some of that stress. And don’t forget to prepare for your own retirement. Plan ahead so that when it’s your time to retire, you’re not in the same situation. Don’t be afraid to ask for help. Trying to care for both your children and parents is a lot of work. And it won’t come as a surprise to anyone if you need help. If you have siblings, consider asking them to share shifts with you. Or, have them step in when you need that extra helping hand. It’s also worth a shot to have open communication with your employer about your situation. Your employer may be able to work with you by providing family-leave or a more flexible schedule. But for when things get really tough, it’s never a bad idea to hire help. You can bring in a part-time nanny to help watch the kids while you take your parent to the doctors. Or, you might consider hiring a senior-care aid to take your parent to the grocery store while you stay at home and help your children with homework. Senior aids are trained and know how to properly help the elderly who may need extra memory care and other senior-related conditions. Just because your children are younger, doesn’t mean they can’t lend a helping hand. Put together a list of chores for each child to do around the house. This can help you out more than you think. If your children are older and still live with you, ask them to start contributing financially. If they no longer live with you, you can still ask them for support when they have a free moment. And always keep some form of open-communication with them at any age. Explaining to your children the situation in an age-appropriate way is a good way to help everyone understand what’s going on and how to help. Always remember to get more sleep. Aim for 7-8 hours of sleep each night. Not having the proper amount of rest can lead to irritation during the day. A good amount of sleep is not only important to your physical health but it’s important to your mental health as well. And getting a good night’s sleep ensures that you’ll be refreshed and ready for the obstacles of the new day. Along with sleep, you also need to practice healthy eating and exercising habits. Foods that are high in bad fats and sugars make you feel more tired throughout the day. Consume foods that are antioxidant and vitamin-rich. These types of foods are mostly vegetables and fruits. And they’re great for supporting your immune system. Eat high in fiber foods as well, which will satisfy your hunger. And aim to put aside at least 30 minutes each day for exercise. Having a healthy diet and healthy exercise routine keeps your body energized and up for any task. It’s crucial to make a list of what things are most important. Be ready to let go of the things that are not. You can’t tackle everything in one day. Put off the least important things for a later date. And develop a care plan. But don’t do it alone. Be sure to involve your parents and other family members living in the house when putting the care plan in place. Everyone’s input is vital to a successful care plan. You don’t want your spouse or children to feel left out. So remember to always make time throughout your week for them. And spending quality time with the whole family, children and parents included, is more than important. The stress that you take on every day is for your family. They are what’s most important in your life. Take time to have family-fun days where everyone can relax and enjoy one another’s company. To ensure that you don’t forget to set this time aside, preschedule family-date nights. This way you know ahead of time that specific night and time is dedicated to pure family bonding. Caring for both your children and parents is a lot of weight to carry. But in the end, it’s worth it because your family is what matters most. You might not be able to change the situation that you’re in. But you can change how you cope with the stress. Keep these 7 tips in mind and live a less stressful sandwich generation life. And when you’re ready to plan those family nights, you can check out 5 fun decorating ideas for a backyard family party here! It seems like raising a child is becoming more expensive every year. It’s currently estimated that raising a child born in 2015 through the age of 17 will cost $233,610. This is a three percent jump from the previous year. You may feel prepared to pay for the basics like food, clothing, and even extracurricular activities. But have you considered the cost of birthday parties? Especially as your child enters school and wants to celebrate their special day with friends, this event can get costly. You don’t have to worry, though. There are plenty of ways to make your child’s birthday fun and memorable without breaking the bank. 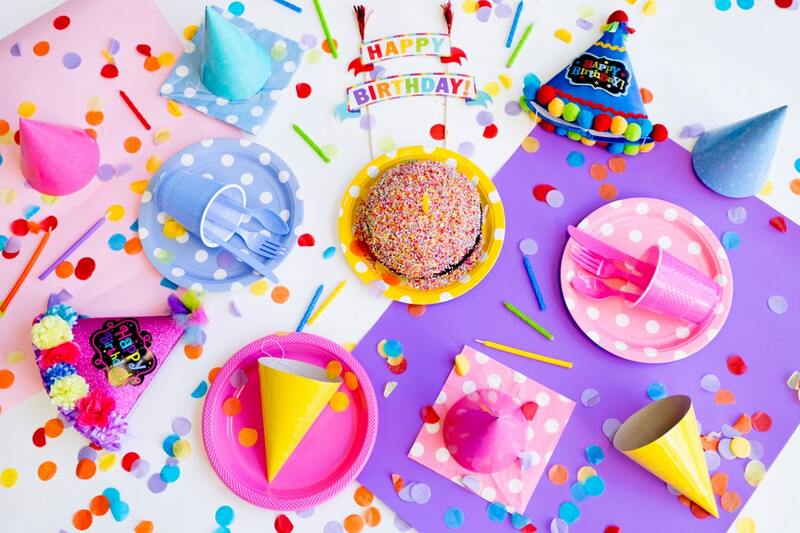 Read on for some inexpensive birthday party ideas. One of the easiest ways to make a budget party look and feel top-notch is to make it a themed party. Theming a party can create such a fun and exciting atmosphere that nobody will notice if you didn’t splurge on the most expensive decor or food. From Star Wars party ideas to princess parties, the options are endless when it comes to themed parties. While wedding guests may ooh and ahh over decorations, the guests at your child’s birthday party won’t take a second look. Save money by making some of your own decorations. Pinterest is a great resource for DIY ideas, like creative streamers and banners. When it comes to shopping for decorations and materials for DIY decor, browse your local dollar stores or Wal-Mart. Themed decorations can be pricier, so choose colors that match your theme instead. Red, black, and white are great for a Mickey-themed party, while white and light blue is perfect for your Frozen fan’s birthday. Unlike adults, children don’t want to spend their time mingling and chatting at a party. Ensuring the young guests at your kid’s birthday party have entertainment or activities is most important. Whether it’s a bounce house, yard games, or face paint, investing in even one activity is a great idea. Like decorations, the food at your child’s birthday party shouldn’t eat up too much cost. If the kids are having fun (especially with that entertainment or activity you invested in), they won’t want to sit still to eat for too long, anyway. Choose foods that are simple, well-liked, and easy to hand out to a hungry crowd. If you’re serving lunch, pizza or pre-made sandwiches are good options. For an afternoon party that only calls for some snacks, go for kid-friendly fruits, crackers, and cheese. When it comes to cake, think about saving the special one for the family celebration, and choose a simple sheet cake or cupcakes for the big party. In the end, all that matters is that your child feels special and that they and their friends have fun. This mindset goes beyond inexpensive birthday party ideas. Browse the blog more tips on family living on a budget, including ideas for healthy, cheap snacks, budget tips for traveling with a baby, and more. 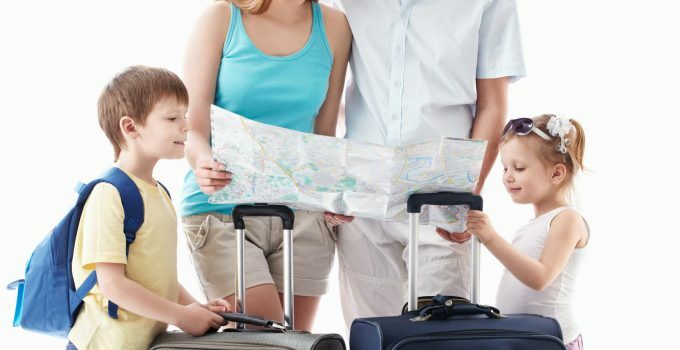 Whether you’re traveling with a new baby or have a gaggle of kids of all ages, when you’re on an extended vacation, you definitely deserve to make the most of your time off. You’re ready to find an au pair that will provide excellent care for your children — and allow you to kick back, relax, and enjoy a glass of wine without your kid asking you to do something for the thousandth time. Connecting with a great au pair means you’ll need to do a little leg work now in order to take full advantage of your travel plans later. 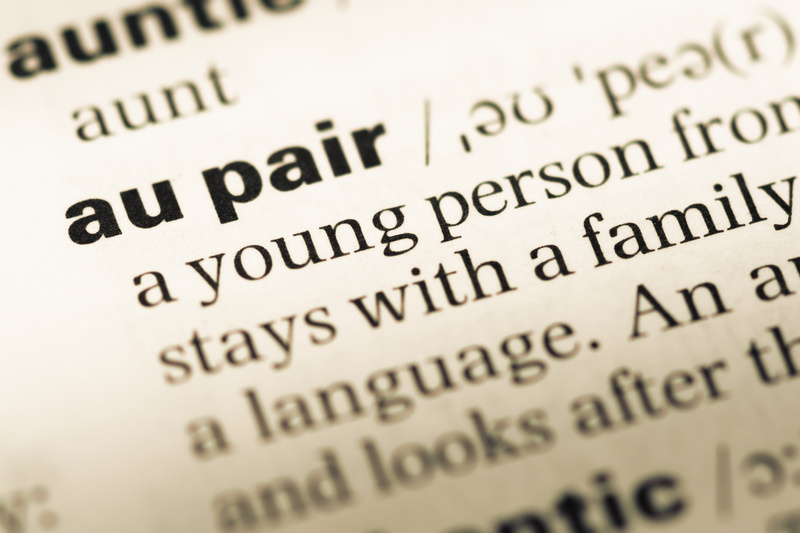 Read on to learn how to find an au pair that’s the right fit for your family in every way. You rely on your other mom friends for advice from how to handle a picky eater to how to deal with a teacher that seriously has it out for your kid. So, it’s no surprise that they should be your first resource when it comes to finding an au pair. Even if the person they worked with has moved back to their home country or has switched jobs, they can still offer you great insight into the methods they used to connect with one. Plus, they might have friends that have a great au pair that’s looking for a new family to work with. Before you had kids, maybe you loved the idea of traveling around the world, exploring new cultures, and seeing the most incredible sites and landmarks possible. Even if you’re no longer backpacking across Europe and staying in questionable hostels, there are still plenty of people who are. Many of them sign up on au pair job boards to make some money while they travel. The Internet has made finding qualified candidates for jobs easier than ever, and childcare positions are definitely no exception. Some of them even conduct background checks and verify the identities of potential au pairs. 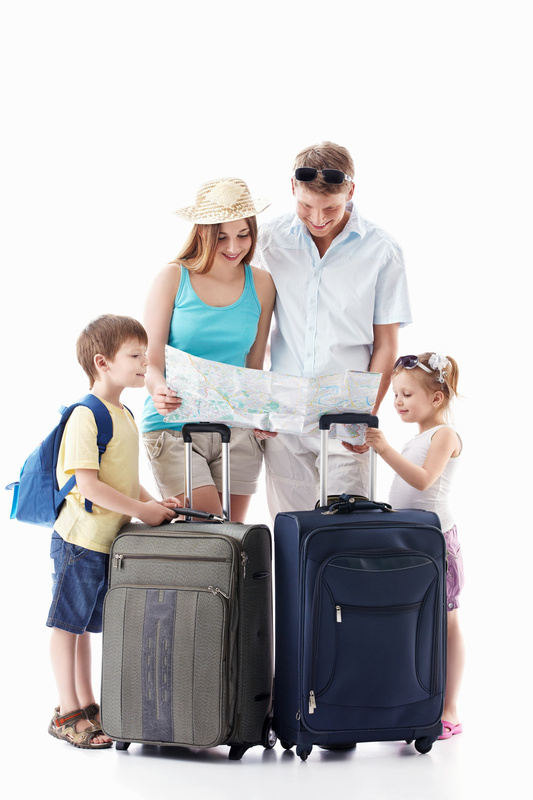 Check out the Backpacker Job Board to browse through tons of awesome au pair profiles. Reach out to several candidates, and move forward with some of your most promising options. Looking for someone to do most of the work for you? If so, then working with an au pair agency is the right move for you. An agency will be able to provide you with au pairs that have experience with children around the same age as your kids, excellent references, and any other preferences you have. You might need to pony up a bit more money to an agency than you would if you elected to conduct your search on your own. Still, we think that making an investment in the person taking care of your child is well worth it. Just make sure you read reviews of the agencies to make sure that they vet their candidates — and pay the au pairs that work for them fairly. Don’t just do your research on the au pairs themselves. Also, ask around about the validity of the agency you’re planning on working with. So, you’ve used the above methods to find a few au pair candidates. In order to ensure you make the right decision, you need to conduct a thorough interview. First, ask about their experience with childcare, and especially with au pair work. An au pair needs to be flexible, up for long travel days, and work well with your overall family dynamic. You’ll be spending much more time with an au pair than you would with a nanny or babysitter. You may also want to ask about their overall experience level with cooking and even light housecleaning. Make sure that they can work with a schedule that’s not as consistent as a traditional job. They may work long hours one day, and then barely any the next. Talk about off-days and payment up front, so that there’s no confusion later on. Always ask to speak with families they’ve worked with in the past. This will give you an idea of what to expect — and whether or not you should go with another au pair. You should also run a background check on the top candidate before you hire them. Check out this list of some of the best background checking services, so that you can rest easy knowing you’re leaving your kids with the right kind of person. Above all, trust your gut. If something just seems “off” during the interview process, it’s best to continue your search. If you follow these tips, we know that you’ll find a great au pair that doesn’t just along with your kids, but also fits well within your family unit. In addition to being a serious help, an au pair can encourage your children to learn a new language, allow you to enjoy your time off, and even open your eyes to new experiences. 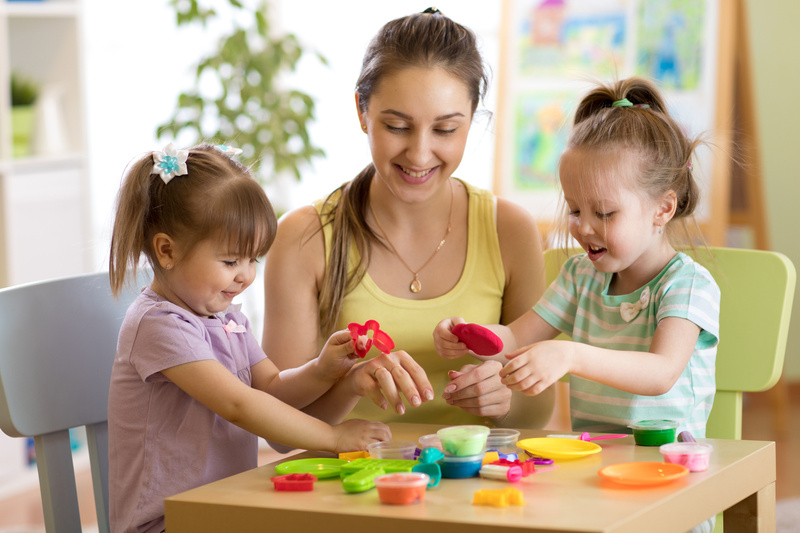 Looking for more advice about how to find a great childcare provider? Interested in picking up a few tips about how to vacation with kids — and save on the costs of travel in the process? No matter what kind of great deal, life advice, or even tips on how to actually enjoy your time at the airport, keep checking back with us for more more-friendly tips and tricks. Calling all mothers! We love our jobs as moms, right? They’re challenging, exciting, unpredictable, fun. There’s nothing like snuggling up to your kid with a movie or helping them through a problem. Getting them dressed for their first day of school or sending them off to their first sleepover. These are priceless moments that every mother loves to experience. But let’s all admit it — it’s not always that sweet. Sometimes we struggle with developing good habits or changing bad behavior. It’s all a part of coming-of-age. Is a reward system for kids that effective? And if so, what happens when that kid turns into a teenager? 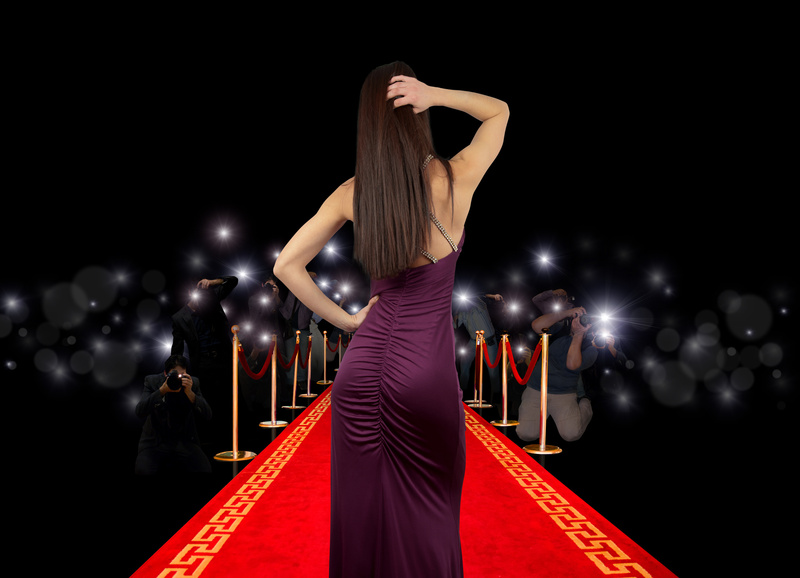 We’re here to show you how to create a system that not only works but thrives. Keep reading! Using stickers or tokens is a proven tactic for developing habits or skills. This entails giving one sticker per one task (discussed in advance). You can lay stickers out on a homemade sheet. Tokens, like those at www.thetokenshop.com, work best for young children until about 4 years old. Remember, it’s called a reward for a reason. Give your child praise, congratulations, and encouragement all the way through! Once a child gets a little older, you can have them trade in tokens. The incentive doesn’t have to cost you anything. It could mean making their favorite snack or getting a play date at the playground. Preteens love to decorate their school binders with stickers. They don’t exactly see them as an appropriate reward any longer. After all, “they’re all grown up” (*Insert Mom smirk here*)! You can keep the same idea as the token system. Replace tokens for something more age-appropriate, like checkmarks. Keep a list of designated chores or tasks somewhere visible. Have them check off daily or weekly activities. Like children, you can turn check marks into rewards. Encourage your child to finish their homework, get to bed on time, have good behavior in school. If these get completed, they can stay up late on weekends, have friends over, watch TV. Try to pick rewards that don’t center around money (and not only because that saves you money!). Instead, choose valuable things like one-on-one time or a favorite hobby. Reinforcing good behavior helps ensure that it’ll continue. Rewarding your teen for doing well teaches them how to make positive life decisions. Show them they’re on the right track by offering positive reinforcement. Use your best parental judgment to choose a reward. And talk with your teen along the way! One of the best things you can do when rewarding your child is being clear and communicative. When it comes to choosing a reward system for kids, it’s not one-size-fits-all. And that’s a good thing. Talk with your child and together, develop a system that works for them. If you haven’t already, start today! And don’t forget to reward yourself too, Mom. Being a mother is a tough job. But you’re tougher. Here’s how to find that fearless faith! Working from home is no longer a pipe dream. Millennials are prioritizing family over work life (and getting more work done, too). Who’s leading the pack? You guessed it, stay at home moms. If you’re a work-from-home mom, you’re no doubt familiar with the difficulty of getting your kids to quiet and out of trouble while you’re working. It seems like they need your help every five minutes, whether they’re asking for a glass of juice or are destroying the living room. If you’re out of ideas about how to keep kids busy, we’ve got you covered. Read for some super simple activities that’ll keep your kids entertained and out of trouble while you work. Sidewalk chalk not only keeps your kids busy, but it gets them out of the house! Kids love playing with sidewalk chalk and letting their imagination run wild. The best part is that your kids get to practice their spelling and drawing skills while you work. Worried about cleanup? Most of the time a little rain will wash it away, but if you’re in a drier area, you can always wash it off with a hose. A play date is a great activity for children of all ages. Let your toddler and their friends socialize while you finish a proposal. Age-appropriate play date activities will keep your children busy for hours. Have a baby that you need to keep entertained? A play date is still a great option since socialization is super important from an early age. Put the babies in walkers and let them play while you get work done. Check out this website if you need tips on which baby walkers are best for your baby. Who doesn’t love playdough? It’s super colorful and can be molded over and over into so many different shapes. Challenge your kids to make specific designs like a cat or a tree. Or just let them go where their imagination takes them! Uncomfortable with giving your child store-bought playdough? Making your own is a super easy activity that you can do to get some quality time in with your children before you get working. Let’s be honest, forts are pretty much the most exciting thing in the world for a kid. There’s nothing like draping a sheet over a couch and a chair to create your own private space where anything is possible. Fill the fort with all kind of entertaining things like legos and toys. Or help your kids improve their reading skills by filling it with books and a flashlight. The options are limitless and you’ll be dragging your kids out for dinner. Now You Know How to Keep Kids Busy! Knowing how to keep kids busy while you get work done is an incredibly important component of your overall productivity. Not only do you get to work, but kids get to grow their social skills and learn about all kinds of new things! All in a day in the life of a stay-at-home mom! Being a stay-at-home working mom isn’t easy. If you’re interested in more tips about family life and saving money, then you should definitely check out the rest of our blog for tons of interesting and helpful information. Has Pinterest ruined your life? Okay, not your life, but at least your wallet? People are spending five hundred dollars on birthday parties their kids will never remember. We don’t know about you, but we’d rather put that in a savings account. Are you on the same page? 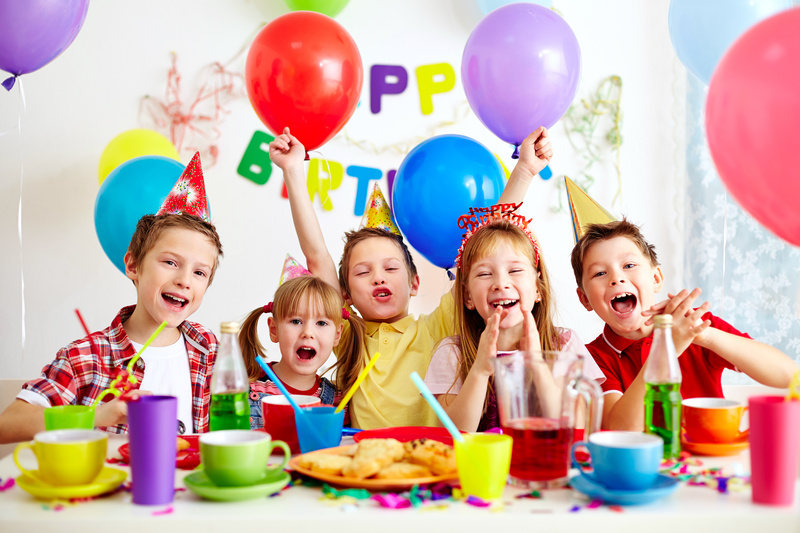 Check out these inexpensive birthday party ideas to save you money – and sanity. You never know when you’re going to stumble across some relevant party supplies on Hobby Lobby’s clearance wall. They can be as much as 50% off the already discounted price. Always peruse the clearance sections or end caps at stores and buy party supplies when they’re cheap. Store them in a closet or pantry and then don’t stress when the big day comes around. Does your kid really want a Paw Patrol party? Those licensed plates can be almost double the price of simple colors. Instead of buying the character images, pull the colors from the show. You could have a big Paw Patrol poster, for example, then plates in the color for each pup. You don’t need to go all out and theme everything from the cups to the forks. As long as you have a few licensed pieces and custom balloons then stick to relevant colors, the kids will get the idea. Parties at home may be a big mess to clean up, but having one at a venue is surprisingly expensive. They’ll charge you by the head or by party size, depending on the place. Then you have to pay for whatever food they provide, along with the cost to reserve the party room. If the kids want to go drive the go-karts, or whatever is there, you pay for all that too. Yes, it’s usually wrapped up in a package price, but it’s still way more than you’d spend yourself. Especially if you’re using the tips on this list to save money anyways. Leave those parties to the other parents and your wealthier friends. Backyard birthday parties have been good enough for kids for hundreds of years. Most of the time kids don’t pay attention to anything but sweets at a party and even then, they’re just happy to have the sugar. So, don’t worry about buying boutique little cookies that will impress your parent friends. Hit up Costco and buy your snacks there. You’ll save by buying in bulk and you’re less likely to run out. Nothing ruins a party like a kid crying because they didn’t get a cookie. There are tons of playground games you used to play that are appropriate for a birthday party. We’re talking about musical chairs, red rover (yes, still) and Simon says. Just put a little twist on these classics to make them fit with your theme. That Paw Patrol party idea we mentioned earlier could fancy up Simon says by making it “Ryder Says“. Kids have masterful imaginations, they’ll catch on quickly. See? It doesn’t have to cost five hundred dollars to feed kids enormous amounts of sugar and blow out some candles. You can use these inexpensive birthday party ideas to save on money – but still make memories. Need another dose of craft on the cheap? Check here.